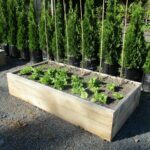 An easy to assemble raised bed kitset using untreated Macrocarpa.Kit includes sides,ends,internal corner posts,nails and easy-to-follow assembly instructions.The assembled frame measures 20cm x 100cm x 200cm.Extra depth can be achieved simply by placing a second assembled frame on top. Each kitset costs $109.95 or $209.9 for two . 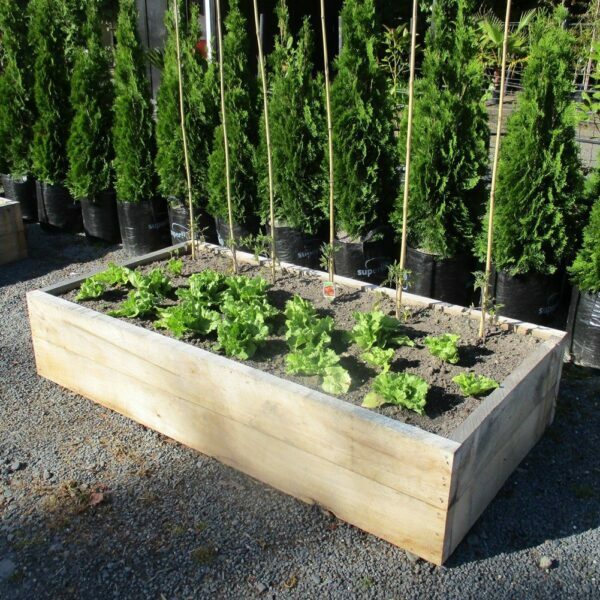 We have assembled raised bed kitset on display at the nursery and being used to grow Lettuce and tomatoes. Please note that the raised bed shown in photo was constructed using two kitsets.